Play the sweeps with 5 more points to your Huggies Enjoy The Ride Rewards account with this new code thanks to Eni who shared it on my Facebook page. New Instant Win Sweeps: I recommend playing for the $10 Lowe’s gift card (about 48 winners every day) or $10 Dairy Queen gift card (about 43 winners every day) because there are so many winners every day. But play for the prize you want to win! Remember that the odds improve a little if you can play early in the morning or late at night when less people are playing at the same time as you. So far I’ve won a total of $50 in “Gas Cash” rewards cards plus $75 from Pull-Ups Potty Dance, $15 Pizza Cash, and a $10 Dairy Queen gift card. What are you winning? Please leave a comment to share! Thankyou for all the codes Matt!!! I won a $10 Lowes gift card yesterday!!! Thank you! 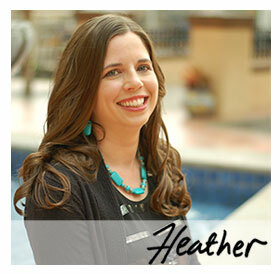 Heather–do you no longer have the blogger share button. Not sure how to create a track back to you now… On your old site there would be a create a link to this thread. Am I missing it? Just link to a post and Wordpress automatically detects trackbacks. You completely rock! July was pretty depressing except for the Huggies Instant Wins. Thanks to your code postings there was a little bit of sunshine. I appreciate you. I’ve given you the Sunshine Award on my blog!